Some more images to share from SharpCap live stack. 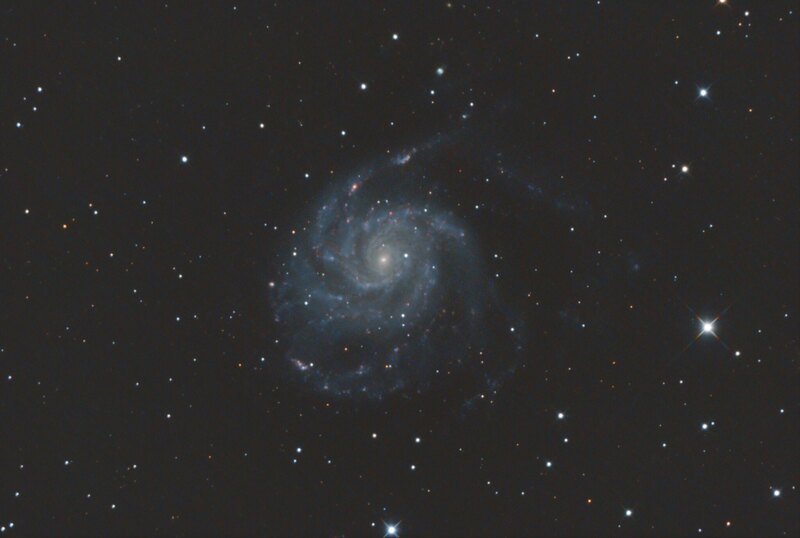 Three versions of M101 The Pinwheel Galaxy. The live stack was 164 x 60 sec using flat and dark frames. Spent about 45 min using StarTools and Photoshop to see what I could pull out of the original 8 bit PNG file saved from live stacking. Not the greatest result but want to share what is possible with very little processing time. Main take away is you can get some nice detail from basic 8 bit color images. 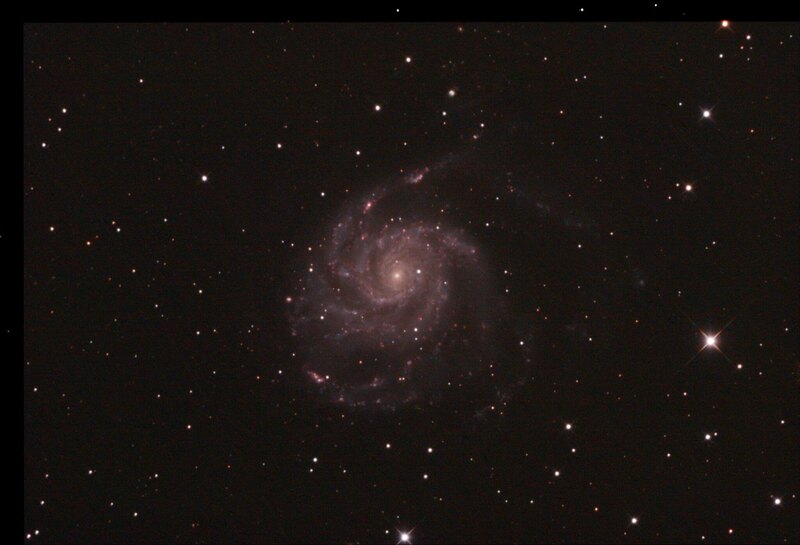 Equipment: RC 6 f/9 1370 mm FL, IDAS D1 LPS filter, ZWO ASI294 MC Pro. iOptron CEM60 Mount, guiding with PHD2 50mm guide scope with ASI290 Mini. Guiding was not great, just got the ASI290 mini guide cam and still need to tweak guiding. Follow any image link to see SC txt details. I like the middle image - a good return for minimal time invested in processing. 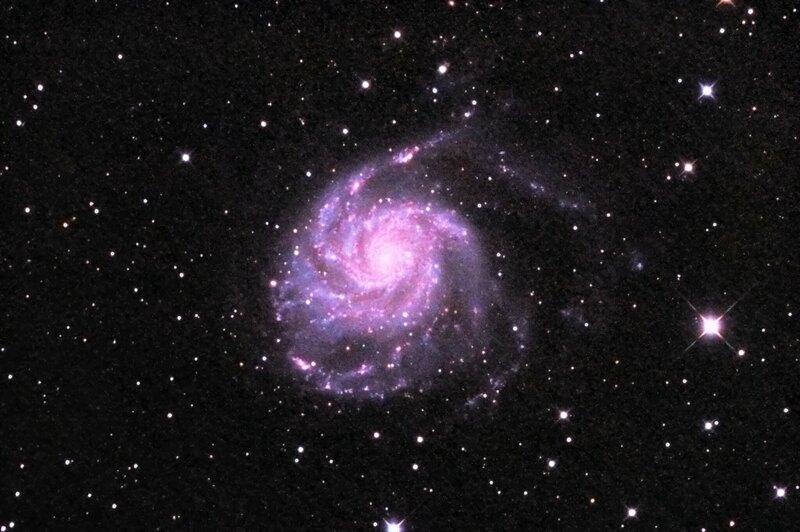 I note you captured the spiral arms and managed to retain colour in the surrounding stars. Good job.